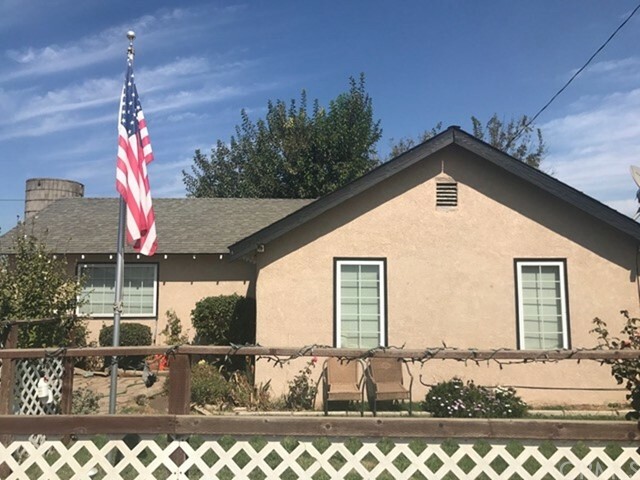 All Modesto homes currently listed for sale in Modesto as of 04/25/2019 are shown below. You can change the search criteria at any time by pressing the 'Change Search' button below. If you have any questions or you would like more information about any Modesto homes for sale or other Modesto real estate, please contact us and one of our knowledgeable Modesto REALTORS® would be pleased to assist you. "Great & Huge potential for Investors readily available for Care Facility and/or Convalescent Home. See to appreciate... the price will not last long...."
"Don't miss out on this great property. There is none out there for sale in the great area of Modesto at this price. This 2 story home has its master bedroom upstairs with a balcony enjoy some coffee in the morning looking at the beautiful view in the country. This home feature 4 bedroom 3 bath which one of the bedrooms and bath was created into a small studio. Its a must see! It is in need of a little TLC use your imagination of what you could do to this home and ranchette contact me for a private viewing." "Country living 1 home on a large lot approx. 4.95 acres. Property has 10 plus horse stalls with hay storage barn. Property has MID water right with a shared well. Pasture or horse arena, large hay barn capacity, 10 custom made with additional 5 stalls, 15 horse stalls total. The property is a must see to have your dream of a ranch." 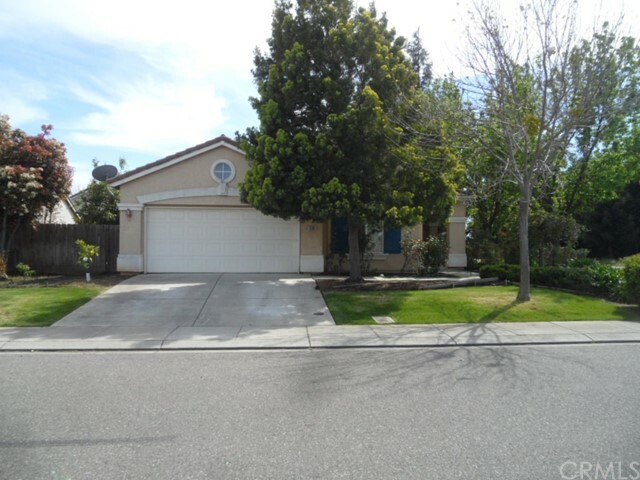 "FANTASTIC SYLVAN NEIGHBORHOOD JUST 1 BLOCK FROM BEYER PARK & SYLVAN SQUARE SHOPPING CENTER! BEAUTIFUL MODERN CALIFORNIA SPANISH-STYLE HOME W/ LARGE 11,114 SQ. FT. LOT. SECURE ENCLOSED FRONT COURTYARD. VERY PRIVATE BACKYRD POOL, SPA, OUTDOOR KITCHEN, LAWN, ETC. SEPARATE PRIVATE BACKYRD LAWN AREA W/ RV / BOAT PARKING ACCESS. 2-CAR ATTACHED GARAGE W/ FRONT COURTYARD AND BACKYRD ACCESS + PLENTY OF OFF-STREET & ON-STREET PARKING. NUMEROUS DUAL PANE WINDOWS THAT ALLOW PLENTY OF NATURAL LIGHT TO ENTER. THIS HOME HAS STYLE, AND IT SHOWS GREAT! UPDATED KITCHEN & BATHROOMS! MODERN KITCHEN W/ PLENTY OF CABINET SPACE, SLAB GRANITE COUNTER-TOP SPACE, BUILT-IN MODERN APPLIANCES AND MORE. BEAUTIFUL HARDWOOD FLOORS & THICK SOLID-CORE DECOR DOORS THROUGH-OUT! SEPARATE INTERIOR LAUNDRY ROOM. GREAT INTERIOR SEPARATION & PRIVACY! ENJOY BALCONY VIEWS OVERLOOKING BLUE POOL, LUSH LAWN & MATURE LANDSCAPING. OUTDOOR BBQ / KITCHEN READY FOR POOL-SIDE PARTIES & ENTERTAINING. MOVE-IN CONDITION." "Spacious home located in the desirable Sylvan School District. Grand contemporary two-story with separate living room with soaring ceilings and separate formal dining room with luxurious wood floors. Beautiful eat-in-kitchen and family room, with butlers pantry, stainless steel appliances, granite tile countertops, and expansive center island with cherry stained cabinets. One bedroom and full bathroom located downstairs which is great for guests. Large open office loft space. Beautiful draperies throughout. Large master suite and bath with dual vanities, walk-in closet, and relaxing soaking tub. Leased solar panels for added energy efficiency"
"Beautiful Corner House, 3 Bedroom, 2 Bath. Studio, Carpet, Wood and Tile Throughout The House. Beautiful Landscaping, Great Area, Big Backyard With Young Fruit Tree. Near Schools and shopping . Must See. Great Desirable Area." "Fantastic Turn-Key investment opportunity!! Beautifully renovated 5 bedroom, 2 bath home earning $2500/month rental income. $45K+ worth of improvements! Kitchen beautifully updated with new cabinets, granite countertops, breakfast bar and stainless steel appliances. Bathrooms with new designer vanity, sinks and pebble fall design tile. Brand new carpet, tile and high-grade pergo flooring throughout. Home freshly painted inside and out. New fences around the property. New pergola over patio. Front and back yard with low maintenance drought-tolerant plants and water system. Close to Stanislaus University. Won't last long!" "Quiet neighborhood, Culdesac, great opportunity first time home buyers." "BEAUTIFULLY, NEWLY REMODELED HOME. FIRST OPEN HOME 3/10 FROM 1:30PM-4:00PM. PICTURES INCLUDE VIRTUAL STAGING FOR VISAUL ILLUSTRATION PURPOSES." "Welcome to the lovely 1836 Cheyenne Way! This single-story home has 3 bedrooms, 2 bathrooms, and has 1391 sq. ft. of living space. As you enter the house, there is a separate family room which gets plenty of sunlight through the large windows. From there you can access the bedrooms and bathrooms through the hall or head into the open concept area. There is a beautiful grey brick fireplace which is the focal point in this kitchen, dining and living room. From the living room, stroll through the double doors into the backyard which has a covered patio and plenty of room to run around or just relax in the beautiful weather. If you're looking for a charming single-story home on a corner lot, this could be the perfect home for you!" "Beautiful Property 3 beds and 2 baths. Great size Master with on suite. Bonus room. Large kitchen. Open Floor Plan. Updated flooring and paint through out the home. Completely remodeled.Home is ready to move in. Nice size yard perfect for entertaining. Great Opportunity Must see do not miss out!" 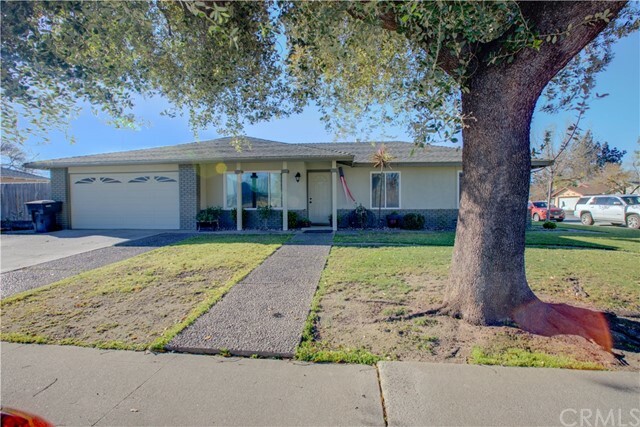 "Don't miss out on this beautiful gorgeous home in an established Modesto neighborhood. One un-permitted room added downstairs. Total 2 bedrooms downstairs. Showing as 5beds/3 full baths, 1,841 sq ft on county record but extra 300 sq ft of the extra room added with no permit make it over 2,100 sq ft living space. This unique home is well maintained by the pride original owner. Huge living room with cozy fireplace. Formal dining area. Large kitchen w/ lot of cabinet space. Large garage with extra storage. Tile roof. Low maintenance front and back yard. Great area for commuters, easy access to freeway and shopping. No HOA fee and rental restrictions! County shows as 4 bedrooms/ 3 full baths. Buyers to verify all." 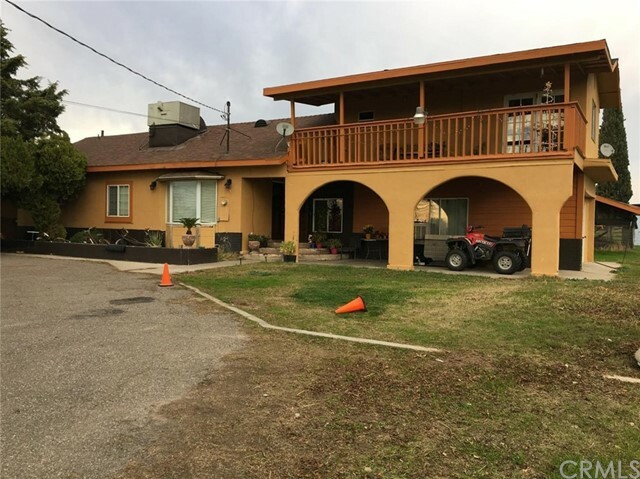 "Cozy corner lot 3 bedroom 2 bath with remodeled kitchen containing granite counter tops, stainless steel sink and gas stove. Well kept home with hardwood floors, vinyl windows, tile floor in kitchen and bathrooms and newer interior paint and roof. large backyard and nice neighborhood close to schools, shopping and the freeway. Custom pool with patio for those hot days." "Cute little home at a very attractive price. Rear alley access. Home completely remodeled within the last 4 years. Some properties in the area already have a 2nd unit added in the back." "Welcome to The Grove! Beautifully situated on a nice corner lot - Spacious floorpan features 3BR & 2 BATHS and over 1,300 SF of living area. Large living room features vaulted ceiling with ceiling fan, and plenty of natural light. Nice kitchen has plenty of cabinets and counter space! Inside laundry room with cabinets. Good-sized Master Bedroom with a large closet. Master bathroom features a large tub, plus separate shower with glass door. At the opposite end of the home you will find 2 more bedrooms, and another full Jack-N-Jill bathroom featuring a tub/shower combination with updated shower surround, and newer tub/shower plumbing controls. Central heat/air, 2-car carport, 4ftx10ft outside storage, 6ftx22ft covered front porch, and low-maintenance landscaping. The Grove is a beautiful park with nice amenities for residents such as R/V storage areas, pool, and club house. Club house features a library, workout room, kitchen, and billiards. Great location close to public transportation!" 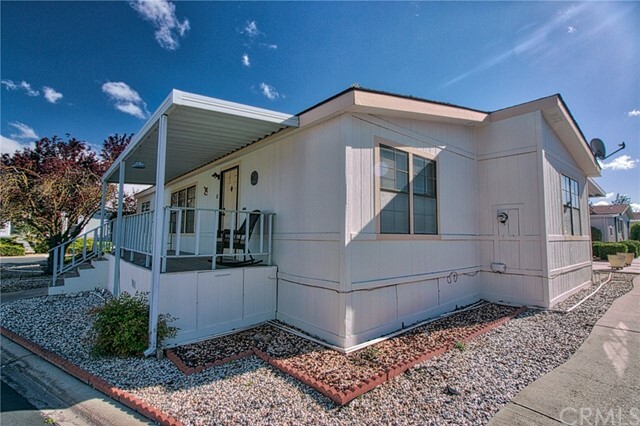 "CUMFY AND Cozy double wide mobile home has 2 bedrooms, 2 baths, Approx, 1120 SQFT with carport. large living room, kitchen. Master bedroom with ceiling fan. Central heat/air, laundry room with storage, dishwasher, garbage disposal, refrigerator and washer dryer and window coverings. wheel chair ramp for easy access. Storage shed will stay. large porch. FRIENDLY VILLAGE MANAGEMENT TO APPROVE BUYER. THIS 55+ COMMUNITY HAS CLUB HOUSE WITH FULL SIZE KITCHEN, MONTHLY CLUB ACTIVITIES, BILLIARD ROOM, EXCERSIZE ROOM, SWIMMING POOL/SAUNA BBQ AREA, AND LARGE PUTTING GREEN. GUEST PARKING ALLOWS UP TO 3 DAYS. Unmetered utilties* included in space rent. *Ask for Details."